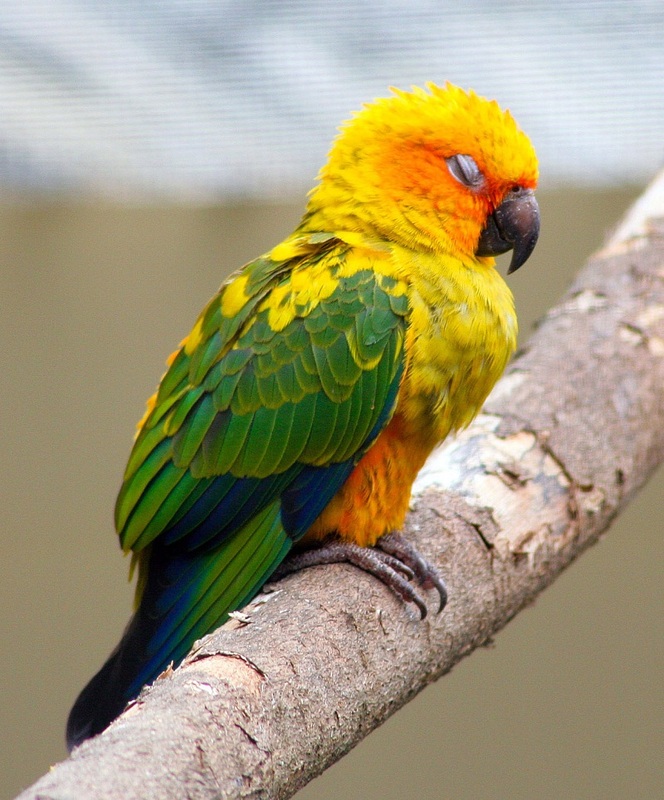 The Sun Conure, found commonly in the northeastern regions of South America, is a brightly-colored parrot that closely resembles the jenday conure and green-cheeked conure. 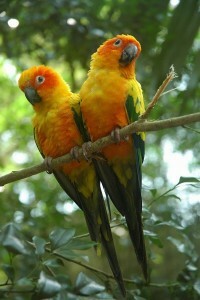 Since it exists as a monomorphic species, the males and females share the same physical features. 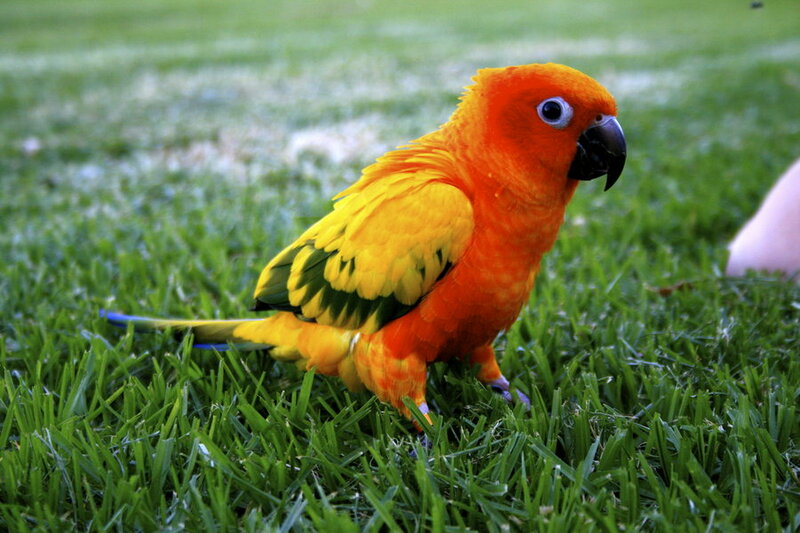 The red factor sun conure is reddish orange with a blue and green tail. 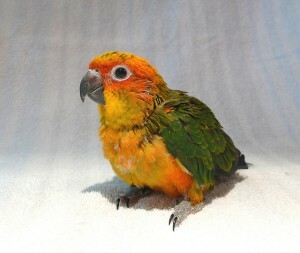 Sun cheek conure is another popular color mutation of the bird that has a yellow body with a white beak, platinum-blue flight feathers and an orange-red plumage, similar to golden conure. Being highly social with a colorful appearance, it makes a good companion for pet owners without any special training. 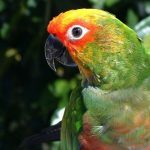 Since sun parakeets demand a lot of attention from their owners, they must be treated with utmost care. Having a playful and adventurous nature, they stay comfortable in a large cage measuring 24 x 24 x 30 inches. 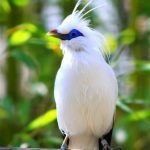 Aviaries or suspended enclosures having a length of 2-3 meters is required if you are keeping more than one bird. 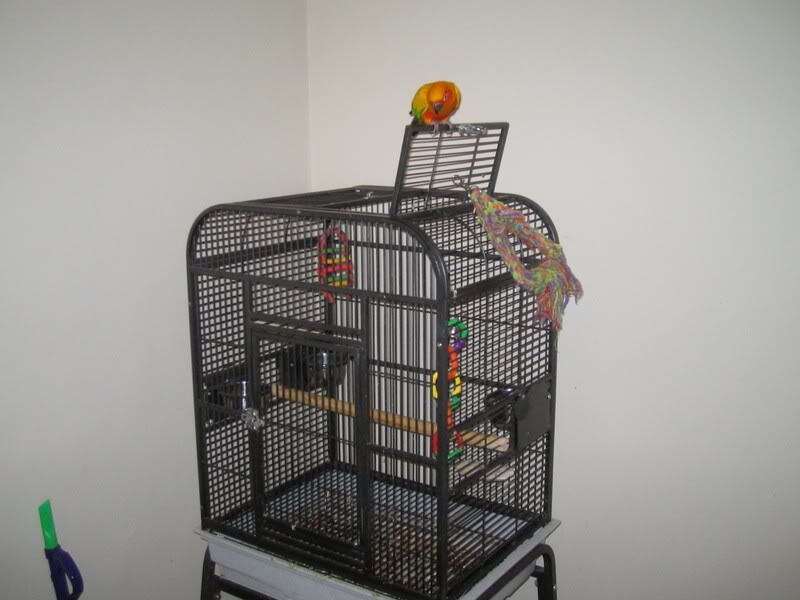 Since they are good climbers, their dwelling should be installed with horizontal bars on the two sides. They may start picking their feathers in the absence of mental-stimulating activities. 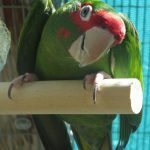 In order to drive away their boredom, lots of foot and rope toys made with non-toxic materials must be placed inside the cage. 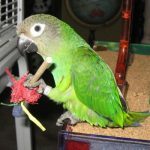 As they have the habit of chewing, wood or vegetable tanned leather chew toys, and natural branches would be great. Keeping swings and ladders encourages the parakeets to stay active all through the day. A wooden nest box, having a size of 12 x 12 x 12 inches provides a natural breeding place for the birds. 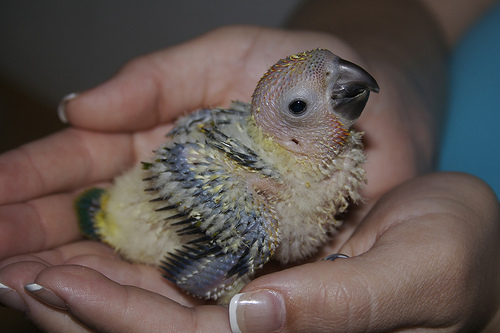 The temperature of the room where their cage is placed must be around 72 °F. 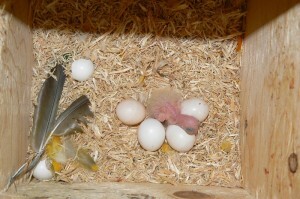 Keeping them away from drafty or hot areas in the house is advisable for their well-being. 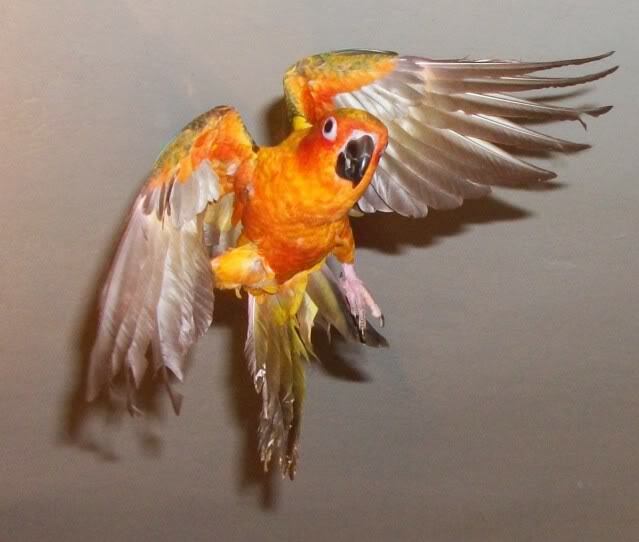 They have an affectionate personality with an ability to mimic humans. Although these brightly colored parrots are less talkative, they can learn a few words. 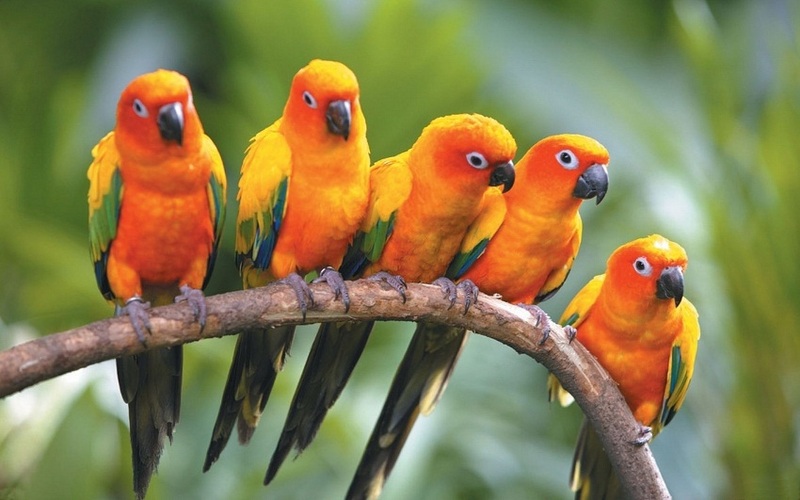 Sun conures tend to become more loud and noisy when they feel lonely. 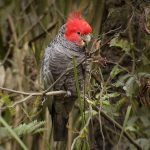 Keeping them with other birds of the Aratinga family would be appropriate as they long for companionship. 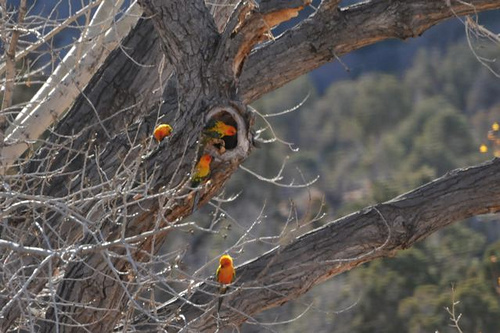 Their primary diet should consist of seed mixes and pellet foods. 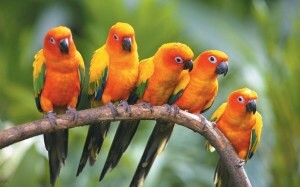 They also feed on fruits like grapes, apple, orange, bananas, and melons. 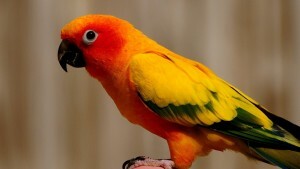 A variety of vegetables, including carrot, peas, green beans, broccoli and black beans, and green leaves, should be occasionally given to your pet bird. The charming conures love getting wet all the time. You can either provide a shallow water dish inside the cage or gently spray them with an overhead mister during their bath time. 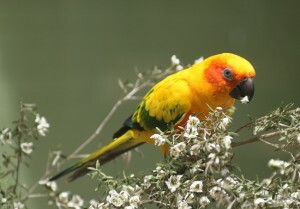 Sun parakeets are susceptible to a number of health conditions such as Psittacine Beak and Feather disease, Proventricular Dilation Disease, Aspergillosis, and Psittacosis. 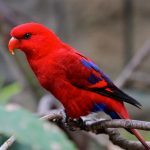 So it is important to get your pet bird checked by a veterinarian on a regular basis. 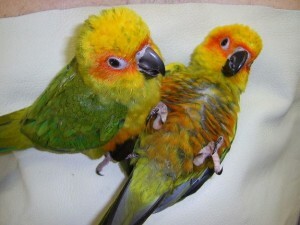 A sun conure comes with a price tag of $200-$500. 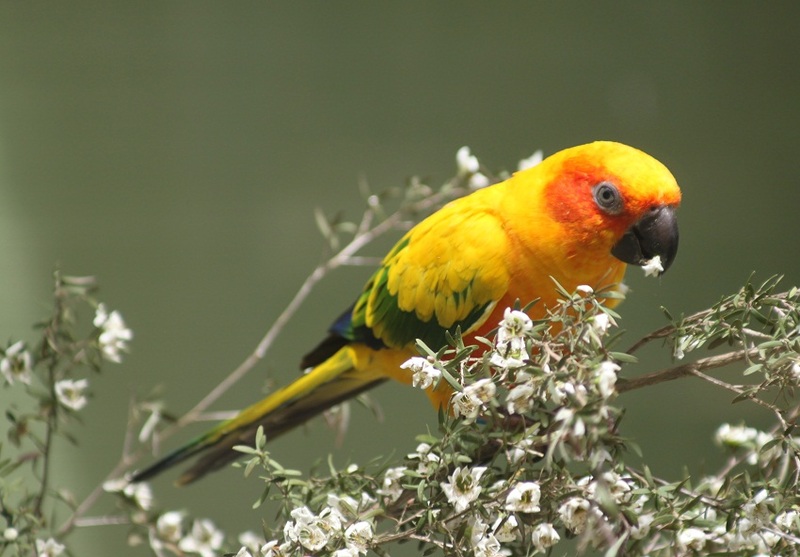 These noisy parakeets can puff all their feathers to seek attention or display their affection. Although they are not sexually dimorphic, the females have a smaller and rounder head, and shorter tail feathers. The coloring of baby sun conures is a muted olive green that acts as a defense mechanism in the wild.